Galapagos has become a premier tourist destination especially for those who prefer to be closer to nature. The exotic islands in Galapagos – each with its own distinct weather condition are no longer just a heaven for biologists and scientists, everyone now has access to the best of Galapagos. Because of the accessibility of Galapagos, cruises that focus on this destination are now popular. This type of cruise isn’t just a vacation with beautiful places to visit; it’s a cruise full of information. Every cruise that goes to Galapagos has a team of naturalists aboard who have vast knowledge and experience in the island. Lectures are usually conducted onboard the cruise ship if you want to know more about the island. Guided tours of the islands are of course, part of the package. There you will realize that the islands has not only the Komodo Dragons but a diverse natural setting that could be found only in Galapagos. Even though it’s a cruise full of information and discoveries, the fun and relaxing part of the cruise is still there. The combination of a relaxing vacation in the water while in close interaction with nature are the reasons why cruises to Galapagos are very appealing. 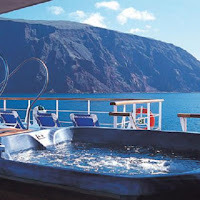 The competition in cruises in the recent years has also made Galapagos cruise affordable for everyone. The whole family could now enjoy the relaxing experience of cruises while learning a lot of things about the island. Argentina has been riding the waves of economic advancement since 2000. With a GDP or at least 8.5% a year during this time frame, it is certainly on the road to become a powerhouse economy not only in South America but worldwide. But this number went down significantly this year. Argentina has only posted 7.0% in GDP this year and most business analysts inside and outside Argentina agree that this might even go further in 2009 because of the global economic problems. Argentina is currently the second biggest economy in South America. Brazil holds the title of having the biggest economy in the South America and 10th in world ranking. To address this problem, the government has unveiled a stimulus plan that will largely help tourism, import and export. Everyone will practically be benefiting on the 13.2 Billion Pesos in stimulus plan declared by the government. Aside from the stimulus package, tax cuts are being implemented in certain products for exportation which will ease losses for entrepreneurs. The government is very keen in pushing for its locals to travel. The government has announced that they will be offering interest free loans for individuals and families who are opting to travel in the upcoming months. Payment terms will be generally set for three or six months. Small businesses that are in the travel industry will also be able to avail of this interest-free loan with the same payment terms. Hopefully, this plan will encourage a lot of Argentineans to go out and travel to different parts of their country to boost the economy. Alaska could be considered a hidden secret of the USA. The challenges of the weather and the sheer distance of Alaska to the mainland has always made tourists think twice in going to this beautiful and - often dubbed as mysterious - state. But learning more about Alaska and its beauty is now easier and more comfortable when you consider going there on a cruise ship. Alaska is near enough for those in the US and the price of the cruise ships are very competitive and might even be lower compared to more popular Carribean destinations. The best time to be in a cruise for Alaska is from July to August. Although the season starts in May and ends in August, the best weather conditions in Alaska could be experienced during this two-month period. When travelling on a cruise to Alaska, you'll most likely visit different ports in major cities in Alaska. From the fish packing port in Ketchikan to Sitka where the area used to house a Russian outpost, the places have always something unique to offer. In between these destinations you'll be visiting glaciers, and could get up close to the wildlife that's only offered in Alaska. Tour packages in cruises could be divided into two categories - the glacier route or the inland route. The inland will take you to remarkable places in Alaska while the glacier will take you more to the wildlife based on cold conditions of Alaska. But whatever route you'll be choosing, you will always have something new to see in the cruise. Alaska might not ring any bell of tourism immediately but one just needs to be on a cruise to appreciate this state more. The holiday season is normally all about travel. However, the 2008 holiday season could be a different story. U.S. airlines, according to the Air Transport Association of America, are excepted to have a drop in the number of people who will be flying this season by about 9 percent. Flights are still expected to be full, despite the drop in customers. This is most likely due to the fact that airlines have actually cut 9 percent of the seats per flight in response to the dwindling customer numbers. To most people, this will not come as a shock. The overall demand for air travel has been on the decline for several months, and they expected that the holiday season would not be much different. 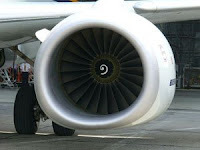 In fact, many airlines went to reduced flight schedules after being faced with extremely high jet fuel prices earlier in the year. Group studies have been done, and only 43 million Americans are expected to travel by way of air this holiday season. It's important to note that this is the seventh monthly drop in airline customers when compared to last years numbers. For those of you who are still looking to travel by way of air, there is good news. With the decline in the number of people flying, there comes a few benefits, like less crowed airports and on time flights. In fact, many U.S. airlines have actually shown improvement in their arrival record from last year. Officials of the airline industry have also stated that they are looking to really focus their attention on efficiency this season. Singapore opened up its skies to the world by signing with Romania and Zambia an Open-Skies Agreement (OSA). The countries involved have agreed to open their skies so that the airlines from these countries could go to and through these countries. This agreement is applied to both cargo and passenger airlines. The agreement of Singapore and Romania has increase the number of European countries that is easily accessible by Singapore. With the inclusion of Romania, 16 European countries now have an OSA agreement with Singapore. This will greatly give different airlines in Singapore more access and easier flight routes to key destinations in Europe. The agreement with Zambia on the other hand, is a little bit historical for Singapore. Zambia became the first African country to have ties with Singapore in OSA. Their agreement would add flights to and from Singapore which is essential for Zambian tourism. Singapore on the other hand will enjoy relaxed flight routes as Zambia is located at the center of South Africa and will provide easier access to neighboring countries. The OSA was signed during the International Civil Aviation Organization Air Services Negotiation Conference. This event was held in Dubai for three days from the 24th to the 27th of November. This event aims to be the place for negotiation between countries and different agreements such as OSA will be established. Singapore now has flights to more than 60 countries around the world and this is only based on Changi Airport, Singapore’s biggest airport. One hearing the word luxury thinks of rich people and extravagant lifestyles that mere mortals can’t afford. Sometimes "luxury" can be subjective but when it comes to cruising, the standards are well-established. Luxury means a high fare (more than $500 per person, daily) and an exotic itinerary with amazing landscapes and elegant ports to visit. Also, the means of transport are important, in this case the ships. Everything that could be found in a 5-star hotel must be also found in a luxury ship: jacuzzi, gym, restaurants, internet connection, conference room, bars, casinos, swimming pools, saunas, lounges and bedrooms with superb panoramas. The way a ship looks on the inside adds value and glamour to luxury: decorations of good taste, elegant materials and real works of art signed by famous artists, for an extra touch of luxury. In this sense, some ships are really floating art museums, a delight for the passengers who take great interest in art. What is also important to define a luxury ship is the privacy it can offer: if the deck is as crowded as a plaza in Milan at the peak of the touristic season, then luxury fades off. The few passengers must have the deck all for themselves for sunbathing, dolphin or whales watching etc. Some cruise liners manage to offer free access to its passengers all over the ship or free cocktails and drinks all day long and famous wine with the meals. Also during a luxury cruise the service must have the highest standards, the chef must prepare the most sophisticated meals, the staff should be very courteous and experienced. The cuisine is both international and regional (influenced by the itinerary of the ship). Now that you have the luxury factors, you will know how to ask for in a dream cruise. Australia has always awed travellers from around the world since the Europeans first landed in this massive island. The natural beauty of Australia is very popular as any type of nature-related activity could be experienced in this country. The smallest continent in the world will always have something to offer to its tourists especially in the summer. This term is first used in Australia and a very popular term in the country early on. If this is your first time in Australia, bushwalking is probably the first adventure that you’ll like the most. This started in 1920 and it was referring to activities that require exploration of different parts of the country. Every summer, there will always be a place that you’ll be visiting that will give you something to enjoy. The vast wilderness of Australia has attracted tourists from around the country and it will continue to do so. This island in the southern hemisphere is connected by more than 22,000 miles of road. If you have an international driver’s license, you can rent a car and enjoy the Australia without too much heat and you can visit more places. Just remember to drive at a maximum of 60kph in large cities and 50kph in smaller cities. Australians are known for their excellence in water based activities. You can experience that first hand by visiting any of the beaches in Australia. This might be the best time to learn surfing or even become a certified diver in a week or two. One of the best ideas for a Christmas vacation is to take the whole family on a cruise. A cruise will take you away from all the busy shopping and the hectic city that you have to deal with during the Christmas season. A cruise will make you sit back and relax while you and your family enjoy Christmas. Aside from the cruise itself, the destination of the cruise is also important. A very popular Christmas cruise destination offered by different liners is a cruise to Antarctica. You’ll literally be on the top of the world enjoying the sights and sounds that are only found in this part of the globe. The unique land of Antarctica will always make anyone amazed of the wonders of nature. Giant glaciers, mountain-like ice formations and even volcanoes could be found in Antarctica. Different research stations and important sites that could be found in Antarctica will also be visited by the cruise liners and will give their tourists a chance to see up close these remarkable destinations. An added attraction is the wildlife that the family will see in Antarctica. The beautiful penguins that come in different varieties, the giant whales ranging from Minke, Orca and the great Humpback could also be seen in Antarctica. Hundreds of sea birds that fly to and from the Antarctica could also be seen and will entertain everyone. Besides, everyone will experience the Christmas spirit. The ship will be fully decorated for Christmas and kids would have some fun activities for the season. Everyone will always have something to enjoy in this unique vacation idea. 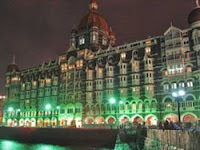 was the preferred destination for more tourists. In September 2008 there were 4.1% less tourists than in September 2007. The blame is cast upon the global economic environment and a stronger local currency. During the past year, Singapore's dollar has strengthened compared to Malaysian and Indonesian currency. Tourists prefer destinations near home or into neighbouring countries. Singapore Airlines Ltd. did not manage to sell much of its flights in September. It is said that passenger traffic dropped for the first time in three years. Hotels occupancy declined 11.6 points to 73% in September 2008. Nevertheless, during the F1 Grand Prix in Singapore City, held in September, the average rates for hotel rooms rose almost 50%. The City expects an increase in the number of visitors by 2015 due to new casino-resorts but Singapore misses tourism target for the time being. It is easier to love New York City when you take the transport problem off your chest. 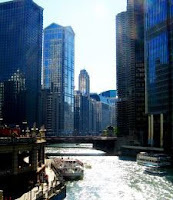 Either you visit The City as a part of a bigger or smaller group, a bus charter will solve your transportation problem. NYC Bus Charters offers charter services in New York City, picking you up at the airport and taking you to your desired destination: trade shows, amusement parks, sightseeing or day trips. They also provide charter services to Boston, Massachusetts, New Jersey, Baltimore, Maryland or Washington DC. and coaches. For New York City tours they provide a private Double Decker Tour bus. You will be welcomed at the airport by their Airport Ambassadors (all their staff must complete the Airport Ambassador training program). NYC Bus Charters has well-trained staff, all its drivers have a background checked and a New York State Department of Transportation approved medical exam, so that you are in safe and hands. 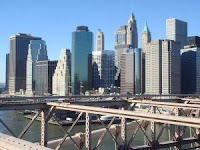 Charter Bus NYC offers you on-time and reliable service and more than 20 years experience. For groups they have discounted transfers and companies that purchase tickets in advance have a 10% discount. What is very useful on the website is the possibility to make a quote by filling in an online form. Charter Bus NYC also offers trip tips and the customers can send their feedback via the website. The capital of Philippines is made up of 17 cities which form Metro Manila home of 14 million people. In the Spanish Era, Manila was a walled city, the area being called Intramuros. The walls were built to protect the area from the Chinese pirates. During the World War II much of the city was destroyed. In Intramuros you can see the Fort Santiago, a defence fortress built in 1571. Philippine's national hero - Jose Rizal was imprisoned in the fort in 1896, before being executed. You can see on the ground his final footsteps in bronze, marking the way from his cell to the execution place. Even if it had a troubled history, there are interesting places to visit in Manila. From bohemian life, discos and clubs to sport events, you find them all in Manila. Start with Ermita - a district known for its vibrant university life, being the home of several universities and colleges. You can also find here many outdoor cafes (the meeting places for students), coin shops and prostitutes (despite efforts from the government to get rid of these practices). In Malate district you can go shopping in one of the new shopping centres and boutiques or can watch street dancing or ground-level concerts. On the north bank of the Pasig River you can admire Malacanang Palace - the official residence for the president of the country. Along Roxas Boulevard you can have a walk and see the sunset over Manila Bay on the Baywalk promenade. If you like outdoor activities you can also spend a sunny afternoon in Rizal Park having a picnic around the artificial lake with a replica of the Philippines archipelago in the middle of it. 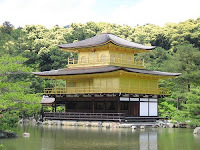 After a tasty lunch you can also see the Chinese and Japanese gardens, the Orchidarium or the Butterfly pavilion. In front of the Rizal monument there is a post which marks km 0, from where all distances in the country are measured. The city is now officially a global city being classified as "Gamma" by the Globalization and World Cities Study Group and Network. Due to its nice weather, especially in the dry season, Manila is the perfect getaway. Even if you intend to spend more time in other parts of the Philippines or want to go scuba diving, don't avoid Manila with its troubled history and the traditional or flashy attractions. A frequent airline traveler has seen this scenario: one day, a great deal for an airfare is posted online and the traveler naturally quickly tries to reserve them. But when the payment and confirmation page comes out, the price just increased twice the original fare originally listed online. It’s a scheme of bait and switch of airlines to entice you to purchase a ticket with the new airfare. And they’re not the only accomplice as online travel agencies also have a hand in tricking travelers into purchasing an expensive airline ticket. The sad news is, travelers have to contend with this practice. Airlines and online travel agencies protect their claim by using words such as “for as low as” or “travel with rates as low as…”. These are gray phrases wherein they only claim that they MIGHT give you the fare they advertise but they can’t really guarantee them. That is why it is important to stop and read everything before you enter your credit card information online. They will tell you if the price has increased and you’ll be given an option to go ahead with the transaction. If you want to completely avoid this type of inconvenience, book your next flight the traditional way – get in touch with the airline through phone or book a flight with a travel agent. The bait and switch could still happen but you have a travel agent who will give you options. Instead of browsing online again for prices and routes just to save on airfare, your travel agent will look for an alternative on your behalf. Malaysia’s festivals and events attract because there is something for everyone. The country is a mixture of cultures, languages, religions and traditions so that its calendar has lots of events and festivals. Country’s Muslim population celebrates Aidilfitri (or Eid al-Fitr). The celebration is known as “Day of celebration” (Hari Raya) in Malaysia. In this period, people living in cities pay visits to their relatives or friends in the countryside. Thus, cities are quieter in the month of Syawal. During this month, many Muslim families hold “open houses” by inviting neighbours or friends belonging to other races to join their celebration. 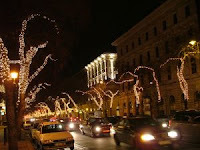 For the occasion, many houses and public buildings are decorated and brightly lit to mark the celebration. So get prepared to be enchanted and take pictures after dark falls. For foodies, Hari Raya has special dishes to taste: rice cakes wrapped in coconut leaves (called ketupat) – being the promotional symbol of the season and featured on greeting cards or decorative objects. Ketupat is served with spicy beef cooked in coconut milk. Malaysian Hindu community celebrates The festival of Lights (Diwali or Deepavali) in October or November. In Sanskrit, deepavali means ”row of lights” so that temples and houses are decorated with flowers and lanterns. Hindu homes are also decorated with candles and lights who are meant to invite inside the goddess of wealth – Lakshmi. Christmas Day - what is different in Malaysia is that at Christmas, you don’t’ get snow but around 20 degrees and, in most cases, sun. On Christmas Eve in Malaysia, people of different beliefs attend night sermons where carols are sung. In the kitchens, housewives and chefs prepare local delicacies (very hot curry) as well as Western food (turkey or fruitcakes). 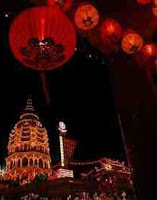 Moon Cake Festival holds place in September and is an important Chinese celebration. The festival celebrates the end of summer. People offer each other moon cakes which are round pastries filled with a paste of lotus seeds. 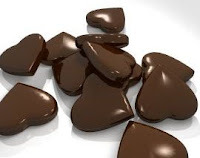 If you are health conscious, don’t worry, because nowadays they have healthy moon cakes made without fats. Moon cakes are considered delicacies and their price ranges from 10 to 50 dollars. If you like good food and your palate likes to experience new tastes, then Malaysian Gourmet Festival is right for you. In 2008 it is held in November and it gathers International chefs into Malaysian restaurants. During the festival you can find special prices and offers in restaurants as well as cooking classes or gourmet tours (limos which will carry you to selected restaurants). Malaysia Flora Festival is a must see, if you love flowers and go to Malaysia in July. It celebrates the beauty of this blessed land and the flowers that can be found there. The Flower Parade on the streets of Kuala Lumpur is the main attraction of this festival. Wesak Day is a Buddhist celebration, also called Buddha’s birthday and celebrating the birth and Nirvana enlightenment of Gautama Buddha. This festival includes activities like lectures on inner reflection and Buddhism and gift giving. In May each year takes place in Malaysia – The Colours of Malaysia, a festival celebrating the cultural diversity of people who live in the country. There is dance and music specific for each culture. The Festival is full of colour and sound and will delight every spectator. For sport lovers Malaysia has to offer Malaysian F1 Grand Prix held on Sepang International Circuit and Sarawak Regatta and many more competitions or festivals. Malaysia is a world in itself and it has much to offer to its visitors. These are difficult times for the travel industry and companies are trying to transfer the cost of rising fuel charges to the consumer. 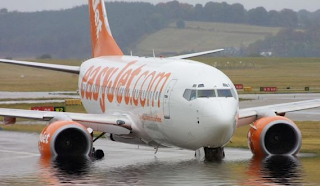 One airline that has decided not to do so, is Easyjet. They have decided to follow a different strategy. Selling more products on board. The infamous sandwiches and rarely-seen but well advertised hot meals are becoming a centrepiece in the airline’s strategy to boost profits. In order however to sell more food you need a hungry/bored and alert audience. Easyjet has decided to follow a simple tactic to achieve this. Sleep deprivation. It is near impossible to sleep on one of these seats as they offer a 90 degree upright posture. Unless you are drunk or actually faint you will struggle not keeping awake. A true HardJet experience. Most airlines on a 3-4 hour flight turn the lights low for a small period of time (1-2 hours) so people can relax and sleep. Not Easyjet. Bright lights create a supermarket-like atmosphere and in conjunction with typical bright orange colouring they serve as a strong sleep deterrent. It is normal for supermarkets and clothing stores to have very bright lights in order to showcase products better but Easyjet takes it one step too far in-flight. You end up leaving the plane drained and in need of some serious rest. Gambling was never a hobby for me but some people seem to enjoy it. After a small wake-up speech by the cabin crew team leader, he proceeded to offer scratch cards that could win you up to 10,000 with 1 in 6 chances of winning (for a pound each). Anyone listening from the Office of Fair Trading or Gambling regulators? The funniest point was when the crew member claimed that when he does the ‘scratch card rounds’ some rude passengers ‘pretend to sleep’ and ‘ignore him’. No, he did not want any of that. No ‘pretending to be sleeping’ or even ‘actually sleeping’ for that matter. He insisted on the minimum courtesy response of ‘no thank you’ from the passengers that were inconsiderate enough to pass on this great offer. Of course to say ‘no thank you’, a level of consciousness is required, and when someone is demanding an answer it is very difficult not to wake up. Get creative, force people at gunpoint to buy more food (use in-flight security crew), or charge more for flights instead all these subconscious, sleep deprivation tactics (aka torture). Simply visit DizzyJet or NoShutEye Airways for more information. Over the years I have travelled many times between Athens and London using a variety of airlines but mainly BA and Olympic Airways. Given the stark differences I thought about presenting a review of this flight in comparison. 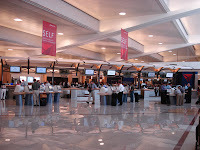 BA has been consistently more punctual over the years with very few delays in service. Olympic on the contrary has adopted a policy of announcing flights sooner than they actually depart to avoid passenger lateness. The consistently “late” departures creating the feeling that the plane is always delayed. And quite rightly so. Get a grip Olympic. There is a clear advantage of Olympic Airways legroom in economy. The Olympic Airbus A340 has not been adjusted to accommodate more seats so the flight is comfortable enough even if you more than 6.5 foot tall. Similar legroom can be found on premium economy and business class on the British Airways planes. On a morning flight BA usually offers a plastic wrap with a small sandwich, small muffin of some sort, some water and orange juice. Olympic (on my latest flight) had a breakfast consisting of an omelette, sausage and mushrooms with a piece of bread. The steward came round for a second time with what appeared to be warm croissants. Yes, this is exactly what I though. Warm croissants on economy class? Checked my ticket again in case I was in the wrong seat. Butter, marmalade and soft cheese to compliment the treat. A full size chocolate muffin was last on the menu. A selection of drinks was offered twice and three times we were approached for tea and coffee. 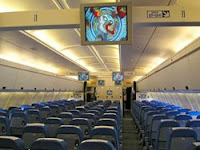 BA usually offers standard live flight information on economy coaches plus radio music and news channels which is good. Olympic had a screen on every seat (with nothing on it) and only offered flight information on two central screens (which I had no visibility of). Not nice. However there was audio channels offering a good selection of music. The Olympic Airways stewards were very polite and overall you thought that this was some kind of premium economy service (to say the least). BA staff is somewhat, should I say ‘reserved’. No, that is not the right word, try rude. It is very difficult to order a second glass of water without getting the famous death stare. This culture is something that has baffled me about BA all these years. As a last minute booking I paid a total of 166 Euros (one way). BA was charging over £300 for a late booking seat in economy. How are my dates of choice always more expensive on their site I do not know. Would not require a huge amount of trickery though to price up a chosen date, would it? Ok, I know what you are going to say. 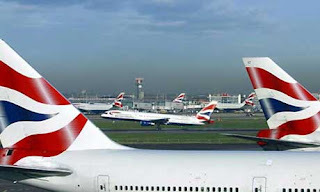 British Airways in spite of all criticism is an established and profitable airline with a good overall record. Olympic on the other hand is a struggling, state-supported money loser that the Greek government has been trying to dispose for years. If this review is anything to go by, regarding the status of these airlines, you have to admit that good service, food and legroom plus an exceptionally low price are not good signs of profitability for a modern airline. Unfortunately money in the travel/airline industry is made at the expense of the consumer, who is forced to cramp in tiny seats with no legroom, eat rubbish food and pay a premium. That is life though. 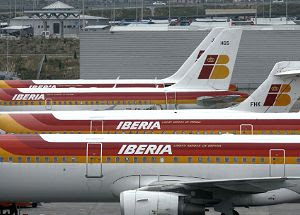 It's not the first time British Airways and Iberia have flirted. Their affair started a decade ago when both companies were part of the Oneworld Alliance. Perhaps it is a bit more aggressive than flirting, but BA did consider a possible takeover of the Spanish national air carrier, but ended up pulling out of the whole affair, while both companies hold stock in each other. But this time talks are bilateral and it seems it will help both sides in the new transportations landscape being formed around us in a world of ever increasing fuel and raw material prices. According to statements made by BA's CEO Willie Walsh, a merger looks like an attractive option, offering both sides the potential to enlarge their networks and it would benefit the shareholders of both companies. In fact, BA stock rose by 7.5% and Iberia by 15% when the talks were announced, even though they will take several months and regulatory clearance will be necessary. Even in the case of a merger, the two entities would continue to exist separately, thereby each country would keep its national air carrier, just as it happened in the case of Air France and KLM. No statements have been made as of yet on the possibility of redundancies. As the economy worsens this move will help both companies continue to fill their planes, as BA will most probably use its Heathrow base as a gateway to the Middle East and the US and Iberia's base in Madrid will provide services to Africa. An interesting fact is that despite all their difference in value and fleet size, both companies transported more than 30 million passengers last year. Competitors will undoubtedly voice concerns on consumer choice and ticket prices as this new company would fill up nearly half the slots at Heathrow. However, regulatory bodies will surely have to approve the move and make sure that consumers are protected. My holiday in Corfu while I was in university had been almost entirely erased by my boss in a London law firm post room a few years ago. He was a mean old man who would spend all day sitting around while we ran like insane little ants delivering paperwork and half the time he would stop anyone who made the mistake of entering his office and show them a 30 minute video from his holiday in Corfu and then about a 100 pictures. The other half of the time he was planning his next holiday there. But I have to admit, having seen the video quite few times (and laughing at his flat jokes) that he had just as good a time as I did. Back then I was on a trip organised by uni so we were running from room to room in the hotel, getting into trouble and being told that making noise at 3am is not acceptable, even in Greece. But this guy, my old boss, he had booked a villa. Now that is style. You book your own villa with some friends, split the costs and enjoy the amazing views, the pool, and the absence of anyone telling you that it's too late to party or that you just missed breakfast. Sure, you have to cook for yourself, but you can opt to eat at the various tavernas nearby. 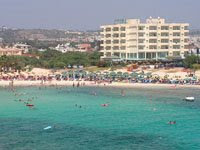 On the other hand, you can always go for the hotel option, and be nearer to the larger towns and clubs. Corfu is used to catering to tourists and is one of most popular destinations for tourists from the UK. British Airways does flights to the island's Kapodistrias airport and you can reach other destinations on the island by bus or car. There is a reason Corfu is such a popular destination. It has a strange mixture of culture and architecture because of its proximity to Greece and Italy, and the contact it has with both cultures. Although it is unequivocally Greek, there are still elements from back when the Italians were in charge. Elements of its beautiful architecture have been retained, in contrast to other large islands in Greece, such as Crete, and it is an island where you can enjoy the architecture in the towns just as much as the beaches, bars and resorts. Well, it didn't work out very well for Spanish travel company Marsans, after they bought Argentina's national airline Aerolineas Argentinas about 20 years ago. To say that the company is not doing well is something of an understatement. Losing $1million a day and being $900 million in debt might make you a bit glum. However, the government has decided to buy back and renationalise the airline as it is in danger of folding and you can't really let your country's main airline collapse. It's a matter of pride. But no matter how romantic the government's intent, the troubles Aerolineas Argentinas is faced with will take a lot of work to solve. The Argentine government seems to have put themselves into something of a pickle. 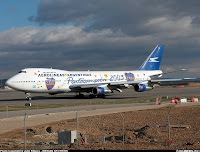 The airline is overstaffed and all of their staff are represented by at least one, in some cases more, workers' unions. Making cutbacks in staff will pretty much immediately result in strikes, especially as the government will be the new boss. Add to that the fact that more than half of Aerolineas Argentinas' 67 strong fleet has been grounded in recent years, and you get yourself a great catch 22. The company is in debt and needs more airplanes so it has to cut costs. But in order to do that they will most definitely have to fire people. And then the rest of the employees will go on strike, and then income will stop. However if cutbacks are not made, debt will continue to accrue. That's a precarious situation if I ever saw one. Maybe the only way out of this is some drastic expansion. Well I wish them all the best and I hope they have some great business minds on the job because it's a tough one. You can't really blame anyone for being comprehensive about taking a holiday abroad this year and over the next few years. The price of petrol alone will make travelling by plane prohibitive in the near future. The strength of the euro, which until recently made your pound go further, has now increased to the point where it is more expensive to get a beer in Athens than it is in London. So it is a clever move on Travelodge's part to invest in a number of hotels on the UK coastline. Apparently, the hotel company is going to open 55 new hotels near the sea by 2015. Travelodge itself has started promoting UK breaks, now that people are trying to find a way to save money, while still getting some rest from their busy lives. Apart from that, the increasing strength of the euro should make the UK more attractive to visitors from the continent. After all, the UK has a lot to offer, with its beautiful forests, water sports, and many museums and historical sites. Sure it will not be sunbathing on a beach in Spain, but if these hypothetical tourists wanted to do that, they would have stayed in Spain, or Greece or France. Apart from trying to attract customers to the UK however, Travelodge is also very cleverly opening 100 hotels in Spain. This move should attract Spanish and UK customers, and could be the beginning of a move to make the brand more international. The hotel company already has two branches in Madrid, but with this increase will become a much more widely recognisable brand. 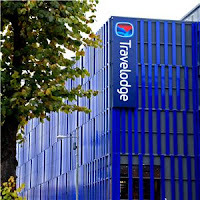 Travelodge could be pulling an Easyjet move, providing basic budget accomodation, at several destinations. 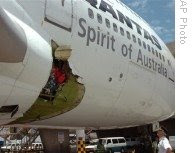 The last 12 months cannot possibly have been fun for Qantas, what with strikes over pay, the whole cargo price fixing debacle, the Australian airline has now announced it will be cutting 1,500 jobs from their workforce, due to their difficulty in dealing with soaring fuel prices. Fares have been raised, their projected growth for 2008-2009 has been reduced to 0%, the hiring of 1,200 new staff has been thrown out the window and there is no guarantee that there will not be any further job cuts. A lot of the jobs that are being cut are in management, offices and call centres, mainly in Australia, the US and the UK, and it is all due to the rise in the price of oil, as is the trend in everything recently. The Australian government have stated that they are very disappointed with the decision to axe so many jobs, but they will do their best to help those affected. Other airlines that have had to cut flights, budget branches of their company, fire staff or stop development include British Airways, United Airlines, Virgin, and many many more, all over the world. The price of oil is affecting all transportation branches and it will affect domestic and international tourism in every country.